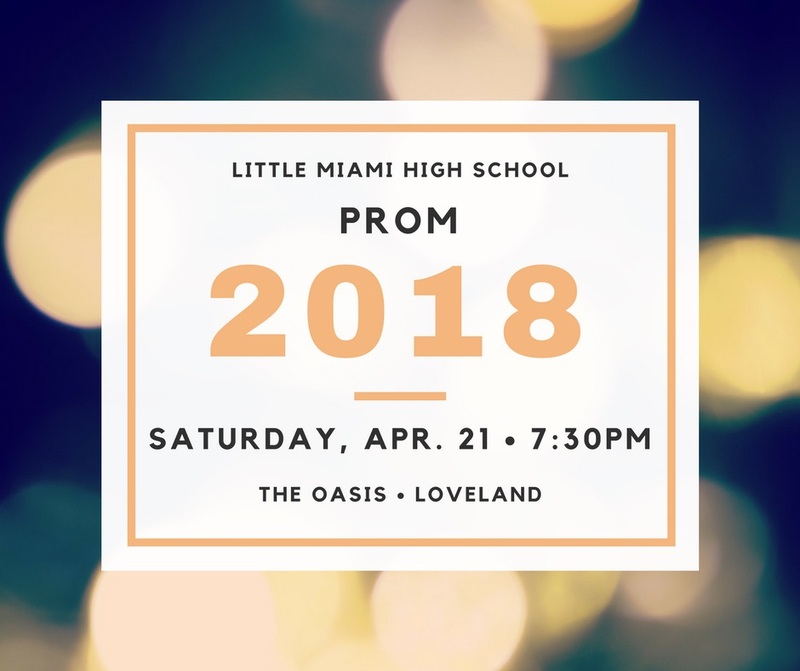 Little Miami High School will host Prom on Saturday, April 21 from 7:30 to 11:30 p.m. at the Oasis in Loveland. Prom tickets will be sold immediately after school in room 214. Tickets will be sold for $65 from April 3-6. Tickets will be $75 from April 9-13. No tickets will be sold after April 13. The price of the ticket includes dinner and admission to the event. All students are required to sign and return a Prom Agreement Form to Mrs. Lyke in Room 214 prior to purchasing tickets. 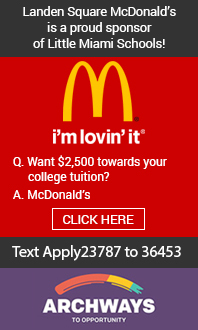 More information may be found in the forms below.